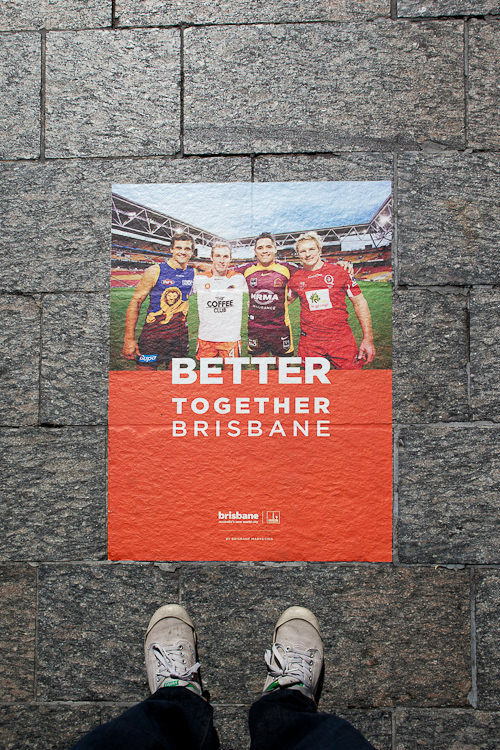 In a year where Brisbane has faced some of it’s most challenging of times, working on a positive campaign promoting the city and encouraging people to make it a better place was a great experience. 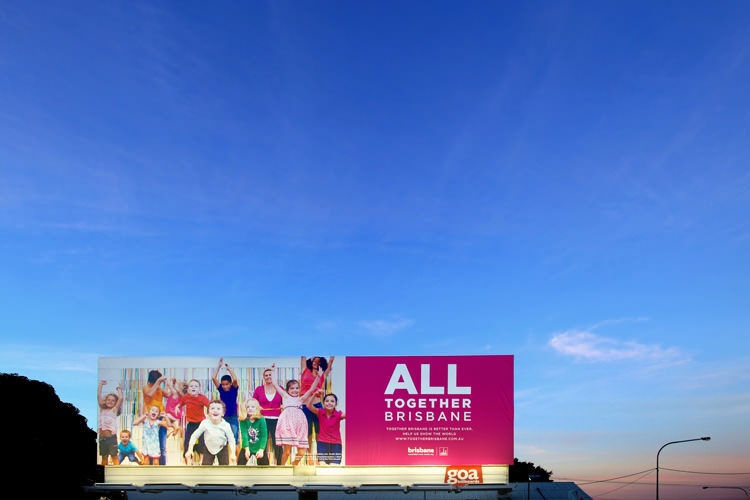 I shot a range of images from all around Brisbane for the Together Brisbane project, which can now be seen around the city on Billboards, buses, bus stops and the Together Brisbane website among other places. 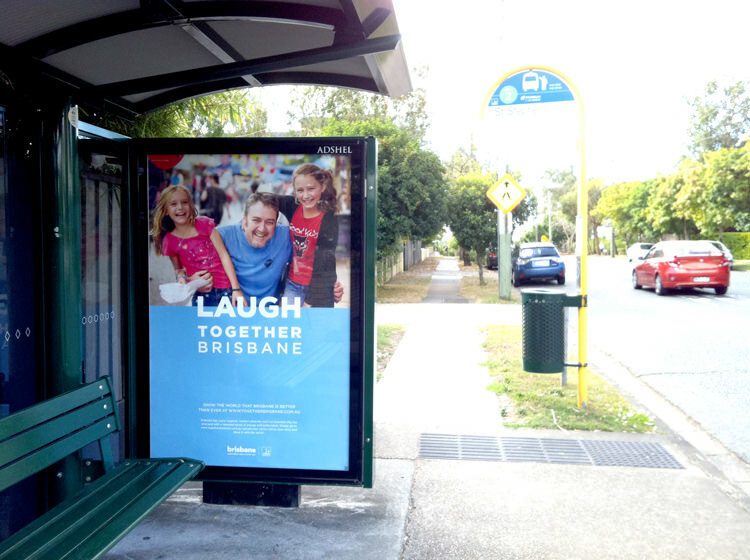 Now, with the Brisbane Festival coming up, user submitted images are being rolled out throughout the city. 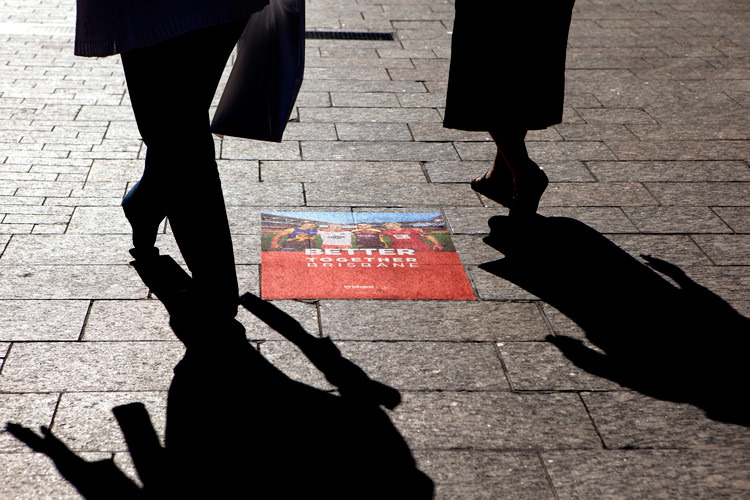 I can’t be more excited about the use of photography to tell the stories of the people of Brisbane, something I’ve been focused on through my own project, The BNE Project. Many thanks to the great team from Big Fish who I worked with on the campaign and to David Byrne who photographed the above image. Please excuse quality of the iphone shots… “The best camera is the one on you.” right? 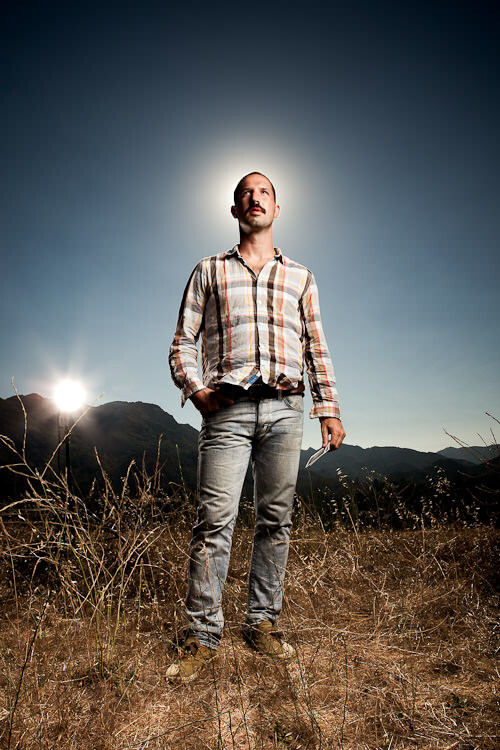 Perhaps it’s a few days late, but here are some images from my top 10 shoots of 2010! It was an incredible year. I head back to Tokyo once or twice a year and most often in the winter time. 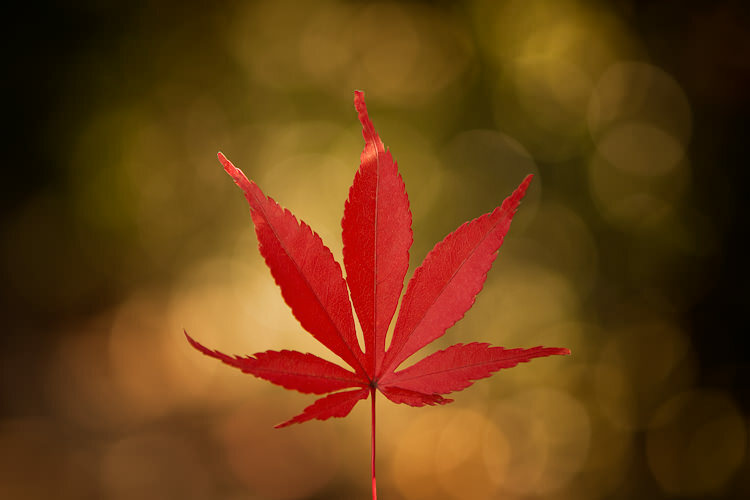 At this time of the year, the Momiji leaves (Japanese maple) dominate the treeline and cover the ground in parks. I really love the way these leaves look against a nice bokeh. I traveled to New York, Boston and Los Angeles earlier in the year where I met some of the most inspiring and creative people and took part in Phoot Camp, where I shot this portrait. 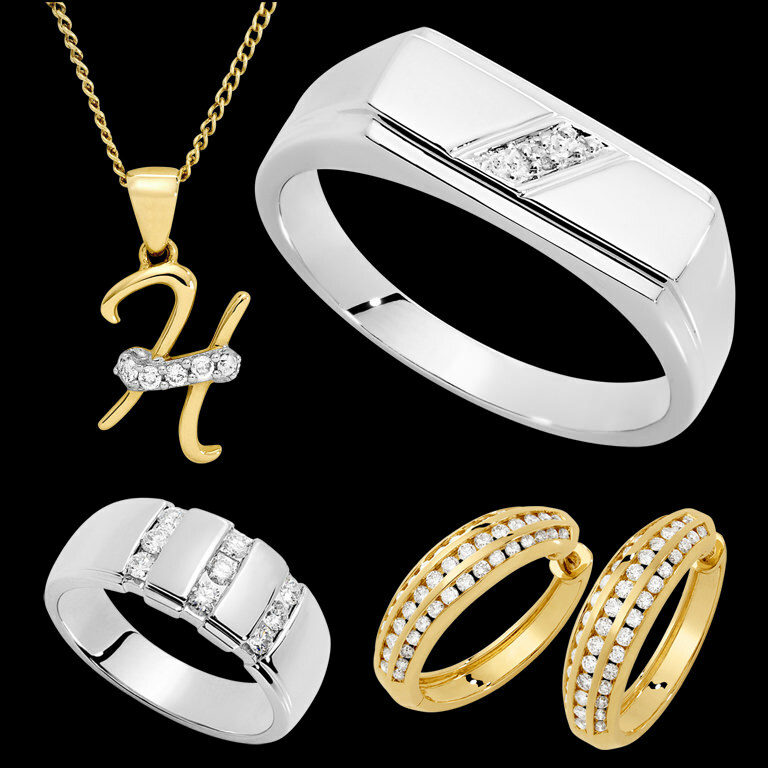 To be able to shoot for Michael Hill‘s catalog was a great experience. Working against an impressive existing collection, I learnt a few new tricks of the trade when it comes to this type of product photography. It’s probably some of the best product work I’ve done to date. 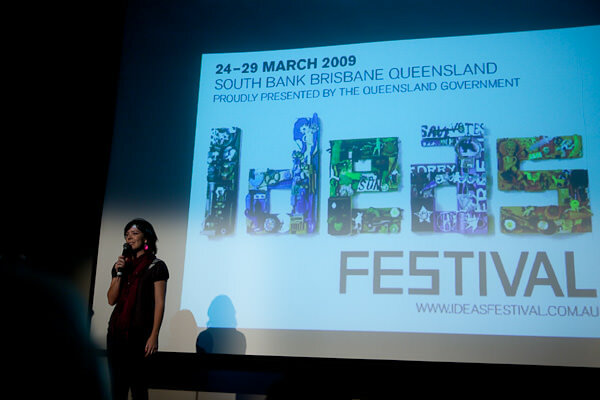 Modeled after the US based annual TED conferences, TEDxBrisbane was an Independently organised TED event. The day included talks from a diverse range of prolific thinkers and doers. 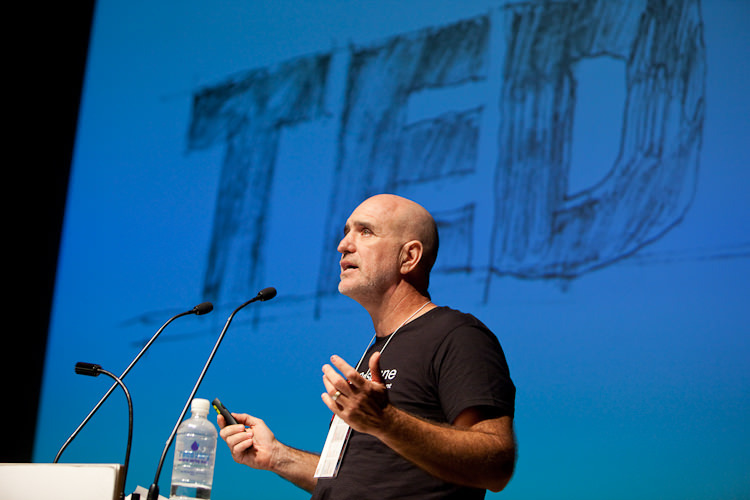 I shot all the TEDx events held in Brisbane in 2010 and have been truly inspired by them all. I worked on an image library for Green Heart, an environmental sustainability program in Brisbane, with the focus on creating carbon-neutral city by 2026. It was great to work with and meet so many inspiring people dedicated to building a better and greener city to live in. It was a busy time for me in January. 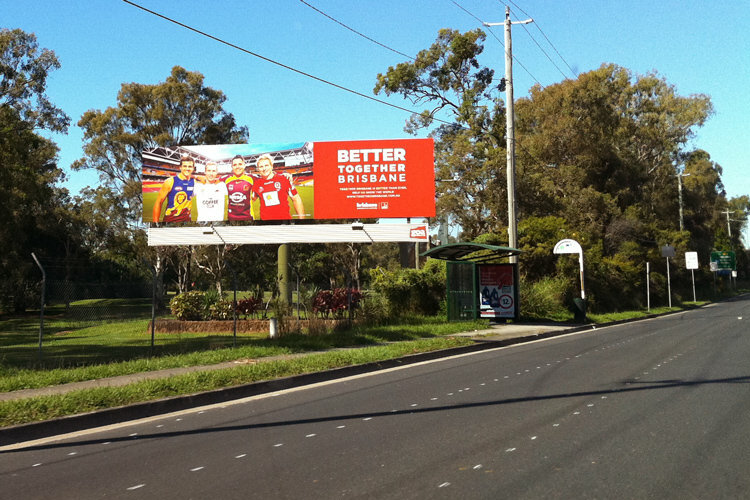 I had just come back from a freezing winter in Tokyo, returning to spend a few hot days in a Brisbane summer. Before I had a chance to settle back in, I was off to shoot a wedding in an uncomfortably humid Philippines. 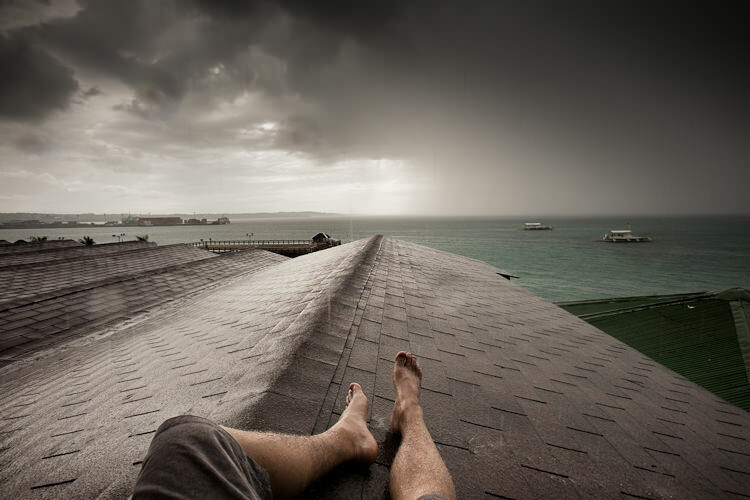 With all the travel, changes in climate, and stress of working in a new environment, just watching the warm rain roll in took me to my happy place. With good music playing on my headphones, a big wedding shoot behind me, and big drops of warm rain splashing off my feet, it was the perfect way to unwind and enjoy the rest of my stay. I had the pleasure of working on an exhilarating and colourful editorial shoot for Tiger Airways, which had me following biker Mac Swift around the Tweed Valley in Northern New South Wales. 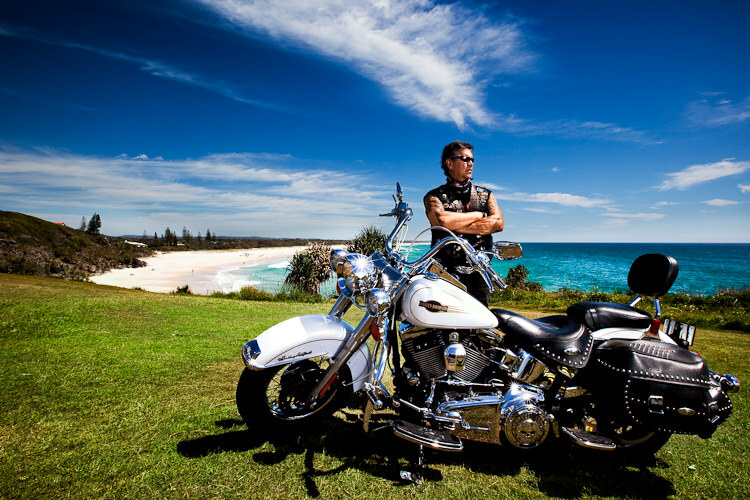 I was asked to capture the journey along some of the Valley’s beautiful rain-forests and beaches, which eventually led me to dangerously balancing on the back of a moving Harley, trying to get the cover shot! Definitely one of the most thrilling shoots of the year. 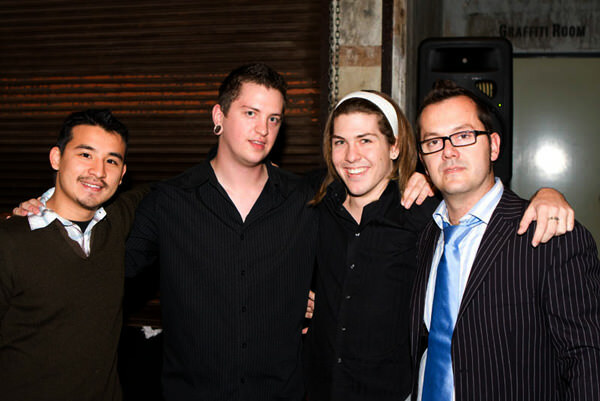 2010 was a big year for film and creative work for me. With a new Hasselblad, I continued work on my film project, Von Vintage. The site is soon to be relaunched and will also be selling prints! Keep an eye out! I’d have to say that my most used camera (other than my SLR) has to be the 360 spinner from Lomography. It’s a camera that literally spins 360 degrees (or more) in your hand, exposing a long strip of 35mm film, including the sprocket holes! I was in Melbourne, shooting the Finders Keepers Markets when I found this puddle. You can also see some other shots of mine on the PHOTOJOJO website! I worked with former Reds rugby player, Charlie Fetoai and the team at Fadez Men’s Barbershops for a pitch they were putting together for MTV. 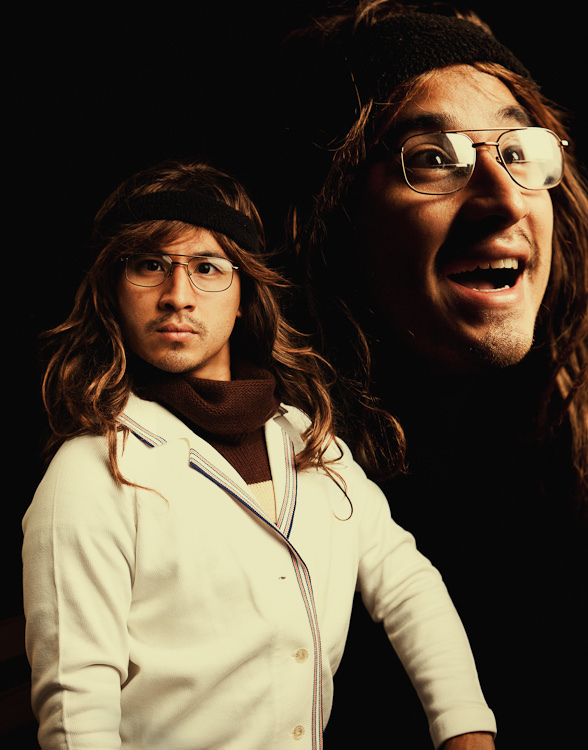 This isn’t one of the images used, but I found the antics and outtakes to be some of the funnest. It was a busy busy year, and there were quite a few other shoots that I wish I could have included in this list! Coming in close, but not making it into my top 10 were : My shoot with Scott Spark, Help Portrait, the BNE project shoot with John Davis and working on the One Punch Can Kill Campaign! Following a few busy months since my last BNE project shoot, I met up with John Davis a guitar repairer based up in Red Hill in Brisbane. For those unfamiliar with the project, every person selected for the BNE project is chosen by a previous BNE participant. John Davis was selected as the inspiration of one of my early BNE portraits, Dan from Dan and Dilmah. 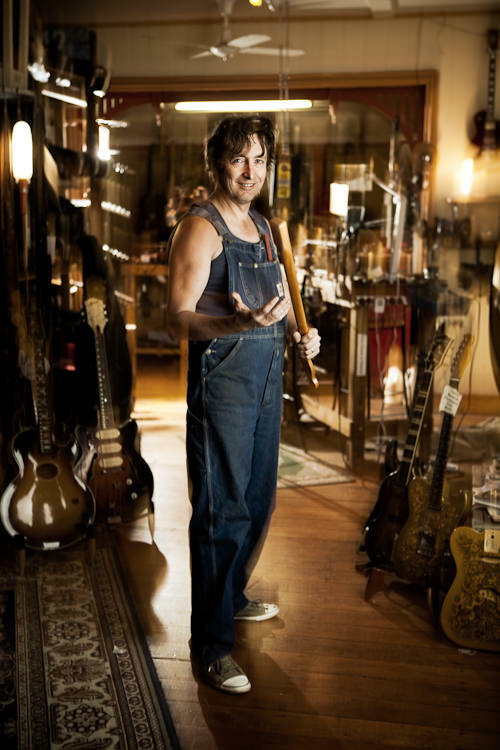 I caught up with John a few days before the shoot at his store and spent a few hours chatting and observing, amongst a constant influx of passionate guitar lovers frequenting the store. One of the things I noticed about John is that when he was working, he was constantly in motion. Whether it was chatting to three customers at once or restringing a guitar, the man is always on the move! I came back a few days later and despite having scheduled the shoot after hours to avoid interruptions, John was still juggling customers and fixing guitars into the night. This passion for his work, people, and guitars is something I really wanted to capture with this shoot. 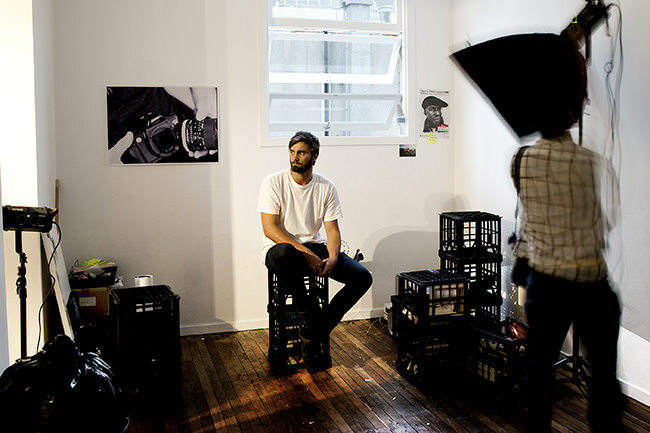 Earlier in the year, as part of my BNE Project, I did a shoot with Joshua Levi (Brisbane photographer, gallery owner, entrepreneur), while he was working on the construction of a second new gallery. I had always intended on doing the second portrait for the series back in the same space once it had been finished, but also really wanted to somehow incorporate more of Josh as well as his trademark bathtub at his main gallery. Residing mainly at Joshua Levi Galleries in Woolloongabba, the vintage clawfoot tub had been used in helping to promote his past shows as well as in his latest combined photographic exhibition “Coke Can Spirituality” where it even found itself on the back of a ute in front of Prime Minister Kevin Rudd’s electoral office. Like most of my shoots, we threw around a couple of ideas and tried out a few different approaches before deciding how we wanted in the shot to look and everything to work. After rehanging and rearranging all of Josh’s own “bathtub” photography a few times and having to refill the tub (and clean up) after a few explosive splashes, we finally ended up with what we wanted. 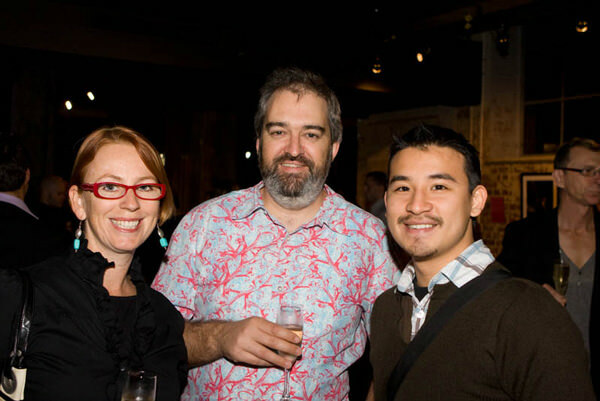 Pecha Kucha Night – Volume 10 was held as part of the Brisbane Ideas Festival on the 27th of March. 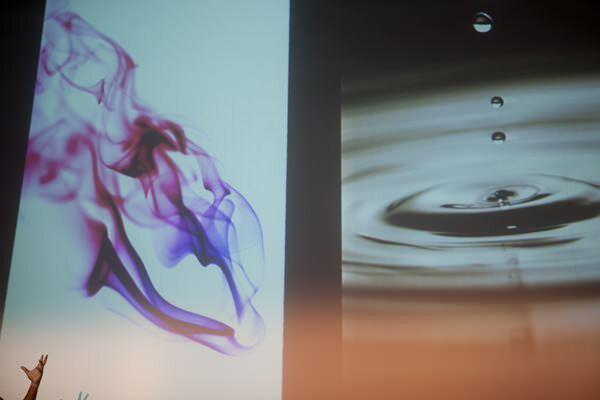 I had the opportunity to present at the event and speak about some of my work and projects. 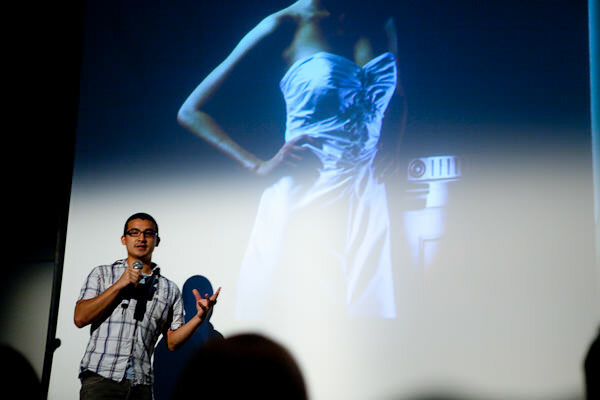 Pecha Kucha is an event where any designer, artist, architect, interactive media or alike, are given the soapbox to present their designs, thoughts and ideas. Each presenter gets 20 seconds to showcase and talk about 20 slides of their work. This is a video of my presentation. Lots of “umms”, I know, but with a packed crowd of 300 in the room, 200 on the 2nd floor balcony, and another few hundred on the ground floor watching the live feed, I was pretty nervous! 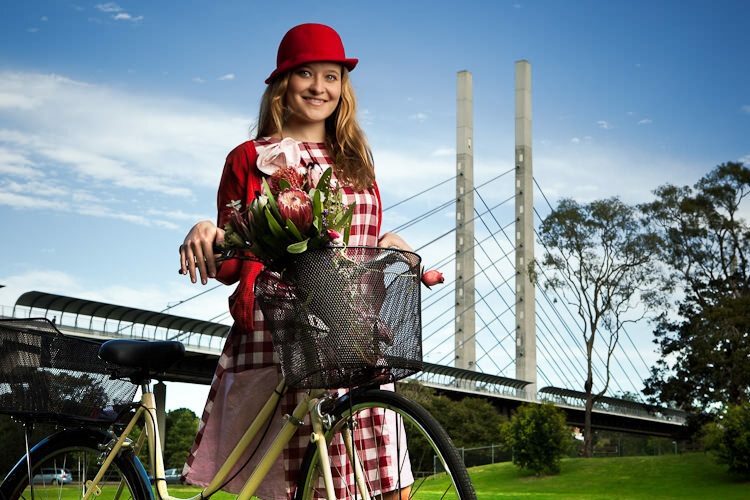 I was recently interviewed and featured on a great website called Australian Edge – “Showcasing Australian Creativity”. You can have a read of the interview here. 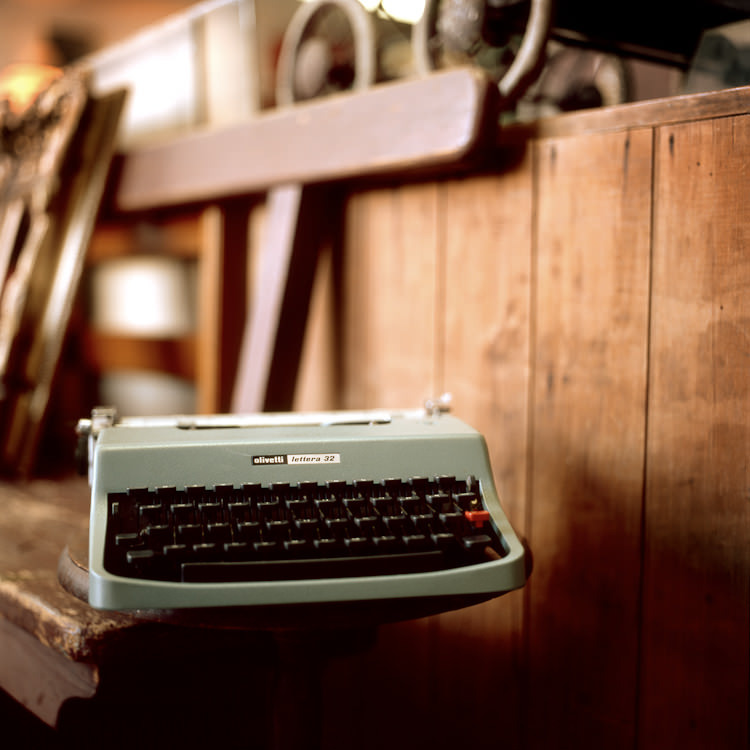 I love sites like this and it features some great work, make sure you check them out! 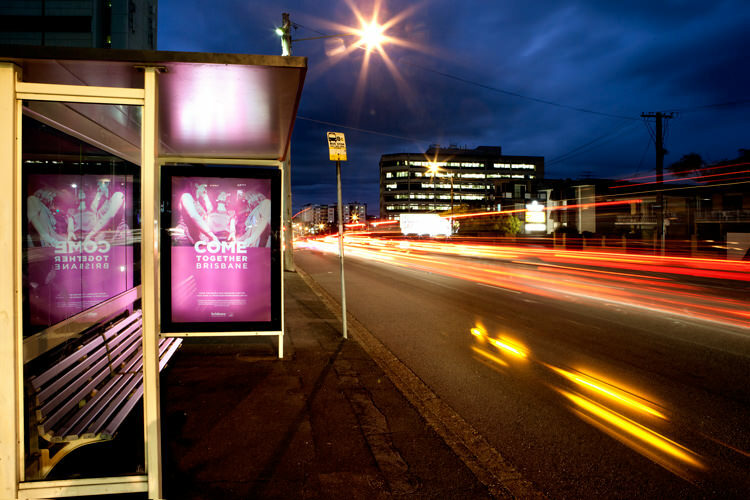 Australian Edge is a collective helping promote Australian creativity in all forms. 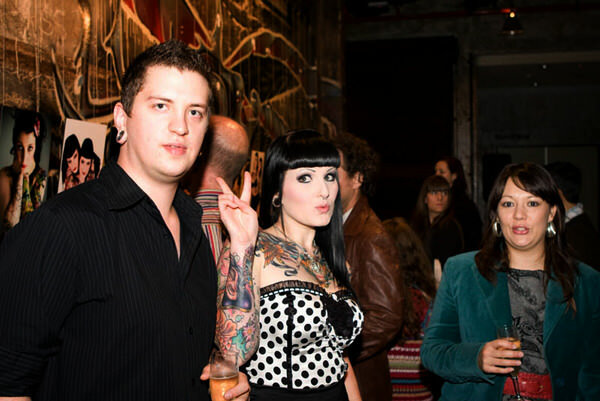 Australia has an exciting and vibrant creative scene. 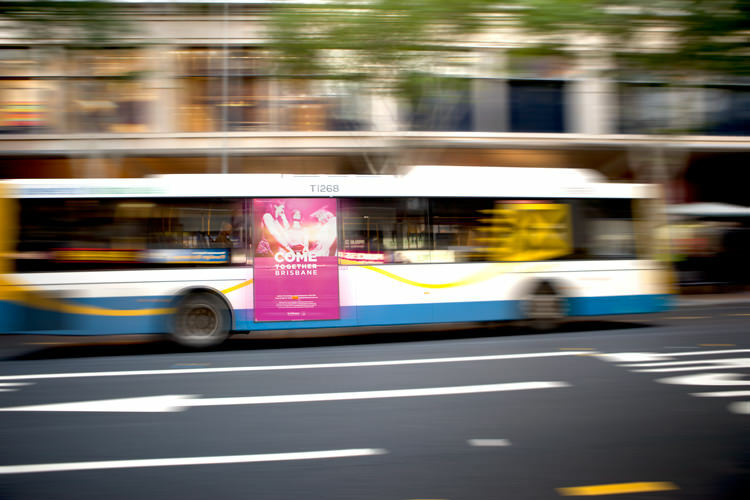 Australian designers, artists and industry professionals through their contributions have had a strong influence locally as well as globally in their related fields. 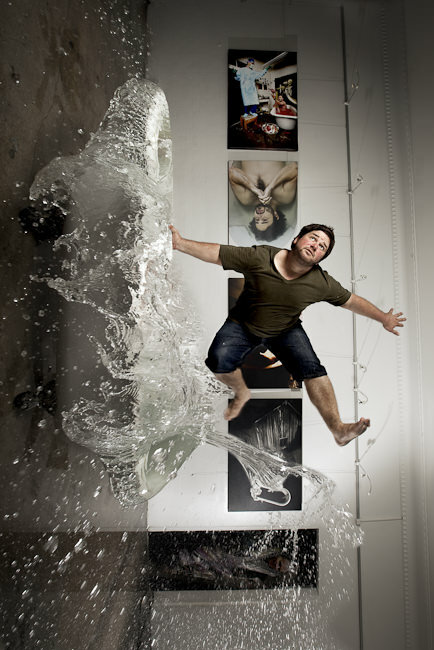 In the coming weeks I will be exhibiting a number of my portraits at the Brisbane Powerhouse. 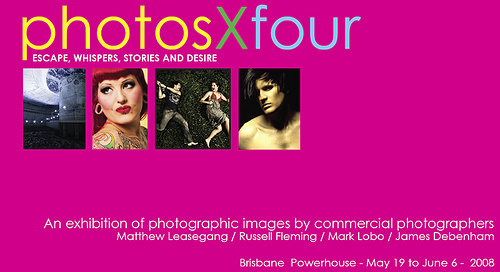 They will be exhibited as part of ‘photosXfour’, a collaboration of four Brisbane Photographers and four unique commercial styles. 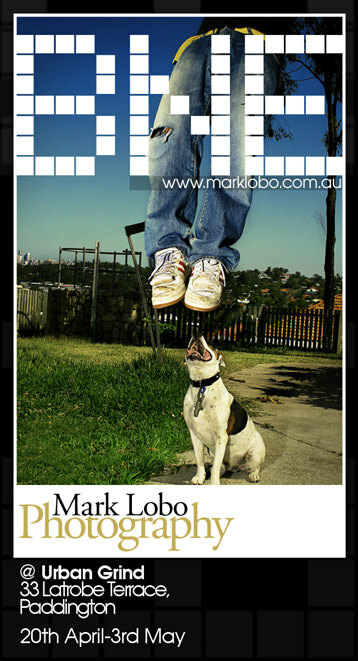 Over 40 images are on show, and cover genres from editoiral style fashion to urban landscapes. Hope to see you there!!! For more information or details on opening night please feel free to contact me. 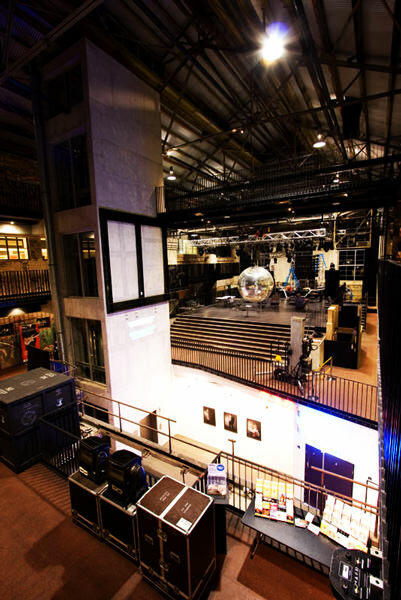 BNE Exhibition at Urban Grind – NEW LOCATION! 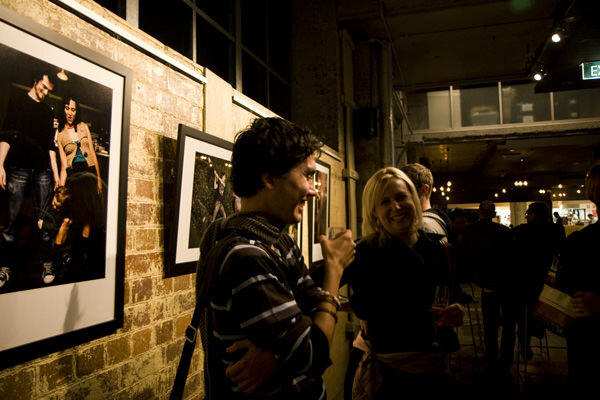 The BNE exhibition has moved to Urban Grind in New Farm and will be showing there until 17th May 2008. The layout of the new shop is great. Make sure you stop in there for a coffee! 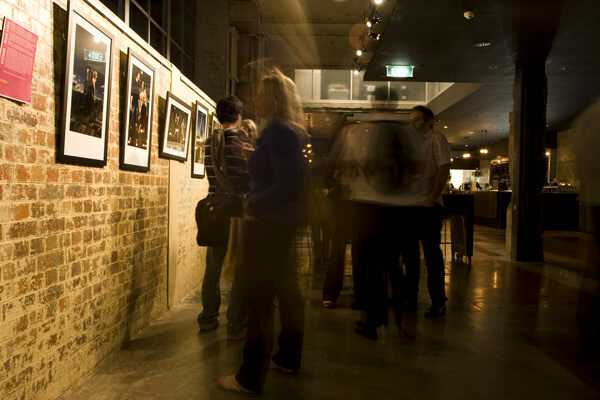 I am holding an exhibition at Urban Grind in Paddington from the 20th of April – 3rd of May. 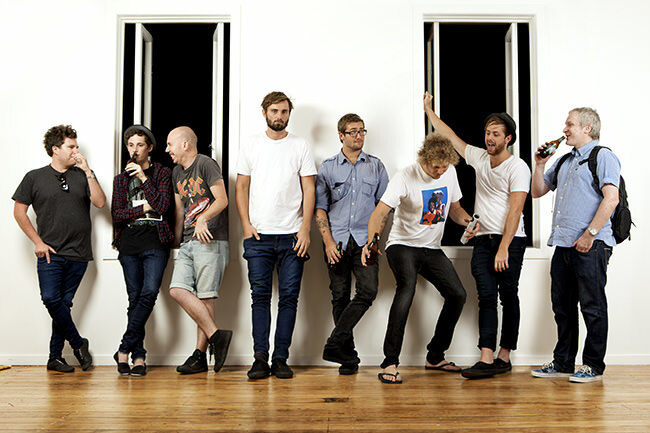 The exhibition features both recent and unseen portraits of BNE (Brisbane). So head over to Urban Grind, have a coffee and check out my stuff!! !